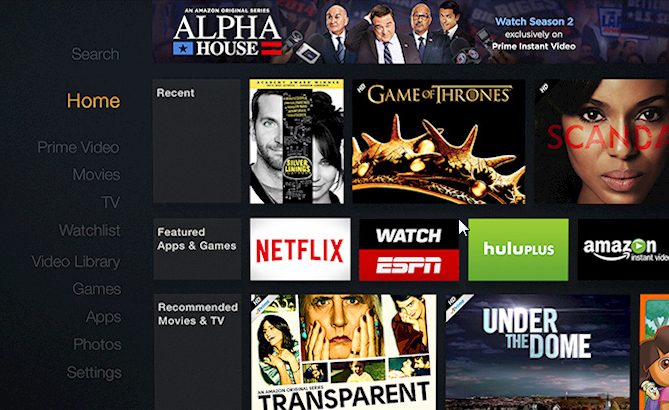 Amazon launched the Fire TV Stick, a direct competitor to the Google Chromecast. 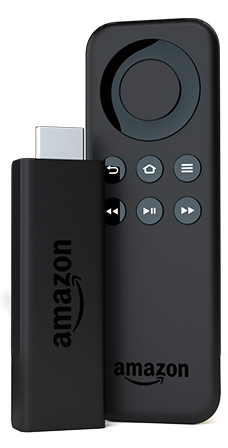 What seperates Fire TV Stick from the Chromecast is that it comes with a remote to assist you with navigation has a powerful CPU along with more storage. 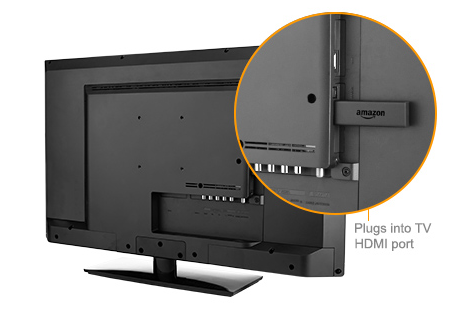 It is relatively easy to setup the device just like it was with Chromecast however, you must connect the USB power port to the power adapter provided with the package rather than using a port on your TV. The device will come pre-activated with your Amazon account, so you will not need to perform any other setups other than just setting up your WiFi connection. 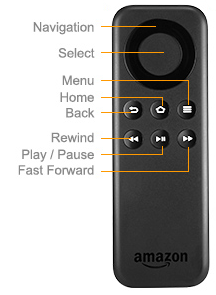 So just use the remote to navigate and configure the device! To navigate between menus and settings the remote has a circular shaped navigation buttons with the center being the select button. Once the setup is complete you should have a menu as above with all your videos and games options.